Allstar Organics is a continuously certified organic farm in operation since 1994. The farm includes two acres of aromatic plants and edible flowers at our home in Lagunitas, CA., 10 acres of specialty and heirloom crops located in Nicasio, CA., and 27 acres of specialty crops at our third location in Petaluma, CA. We utilize a routine of organic soil enrichment programs in order to maintain soil fertility... the foundation of our production. As a result, our vegetables and herbs acquire vivid color, texture, fragrance, flavor, and nutritional quality. Allstar Organics serves a diverse community of Bay area chefs and restaurants, specialty grocery stores, curated shops, and our loyal farmers' market customers. Known for our signature crop of heirloom and cherry tomatoes, Allstar also produces annual crops of garlic, onions, leeks, peas, beans, fava beans, cucumbers, summer and winter squash. 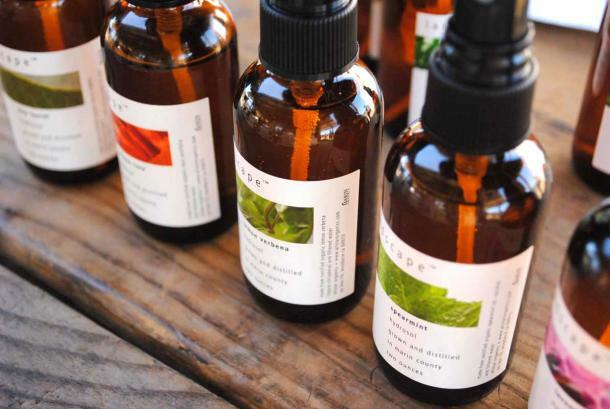 In 2004, Allstar Organics launched a line of hydrosols and essential oils produced in our on-farm distillery from organic plants grown on the farm. Featured in Town and Country Magazine, these delightful, high-quality, artisnal botanical essences have become an integral part of Allstar's value-added product line. Order Allstar Organics Hydrosols now. In 2006, Allstar launched a line of dried herbs, spices, herbal salts, and herbal sugars. Fresh-dried, intensely colored, fragrant, and flavorful, our herbal products are enjoyed by new and experienced cooks alike. These delicious and unique ingredients, as seen on NBC's Today Show, are available at Allstar's farmers' market booths at San Francisco Ferry Plaza and Marin Civic Center, through our website, and through the quality purveyors who carry our products. See Finding Allstar. Order Allstar Organics herbal products now.